Seasonal eating is the one trend that I can whole-heartedly get behind! One of my favorite things is going to the local market and picking the best produce in season and making something totally new. This is how we did it in the past only it wasn’t called seasonal eating, it was just eating what was on hand and ripe. Now as more people become aware of our connection with nature, more and more are reconnecting with this philosophy. Here you will find my full guide to seasonal eating + shopping guides, storing guides and seasonal recipes! Seasonal eating is an outstandingly simple food philosophy at its core but because of our globalized food system it’s a lot harder than in sounds. Go into any supermarket today and what will you find? Tomatoes? Yep. Bell pepper? You bet. Fresh strawberries? Absolutely. Whether grown in a hothouse or shipped half way around the world, we’ve become completely accustomed to eating whatever we want whenever we want. Which I don’t think is a good thing? Why is it important to eat food that’s in season? You mean besides the fact that you feel more connected to nature? Seasonal food is fresher, tastier and more nutritious than food consumed out of season. As I’ve learned to be more connected to my body, I’ve noticed pattern of craving that are totally aligned to the season I’m in. 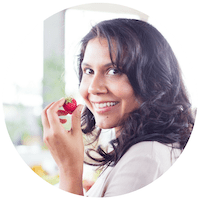 For example I crave brightly colored, water rich vegetables and fruits during the summer, in the colder months my body often asks for different produce and heavy grains to support me through winter. 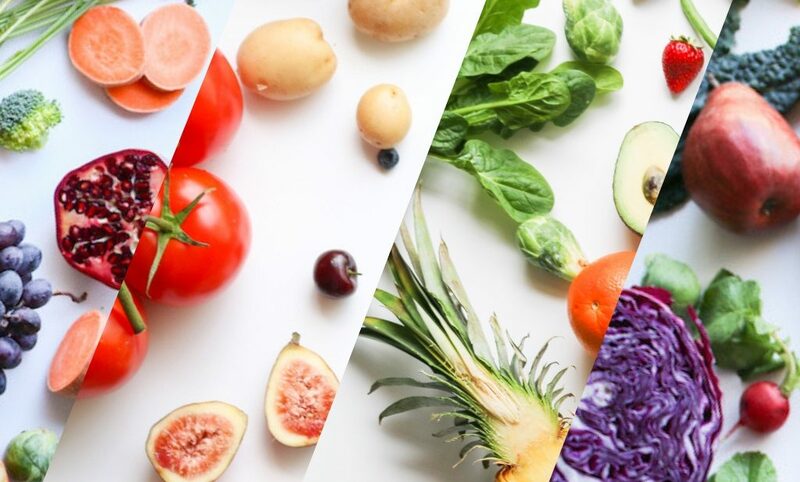 When you expand the variety of foods you eat and rotate them seasonally, your gut benefits from more variety of nutrients than you eating the same thing throughout the year. Also, studies show that fruits and vegetables contain more nutrients when allowed to ripen naturally than those harvested early to be shipped and distributed throughout the country at your local retail store. 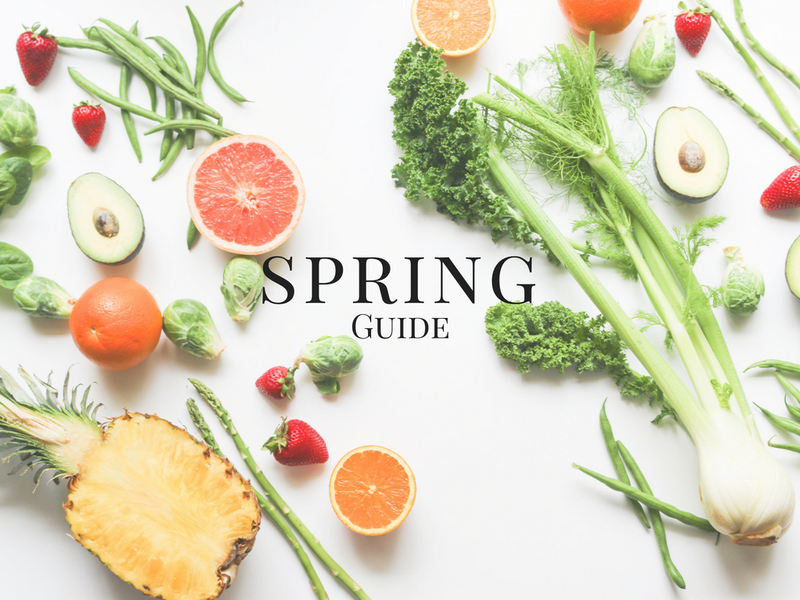 Check out our Spring Guide here! 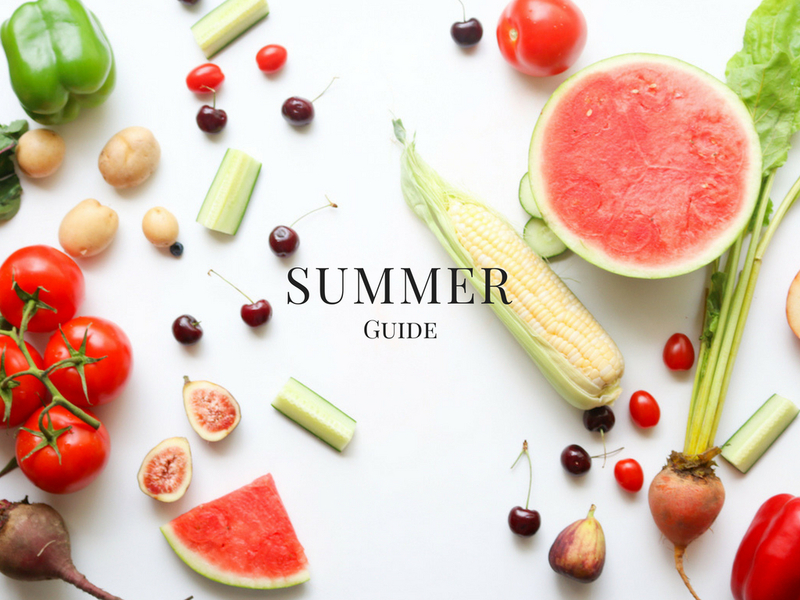 Check out our Summer Guide here! 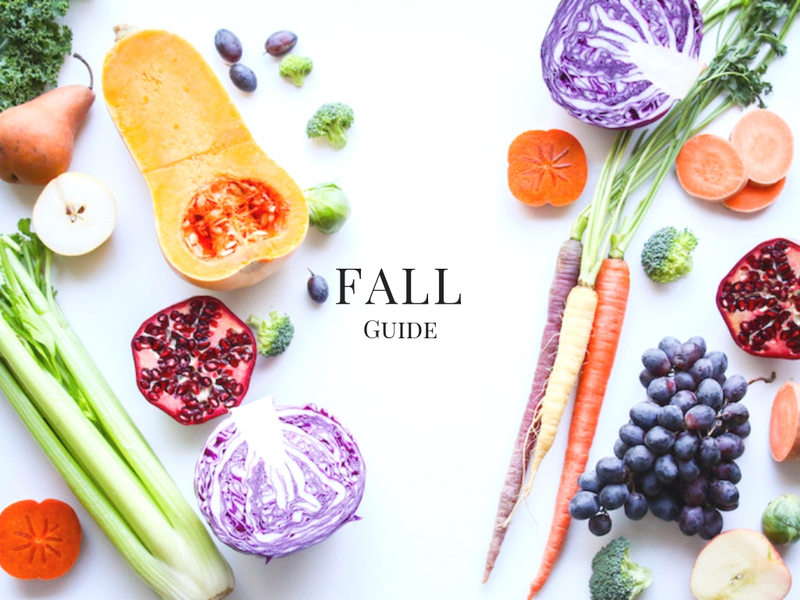 Check out our Fall Guide here! 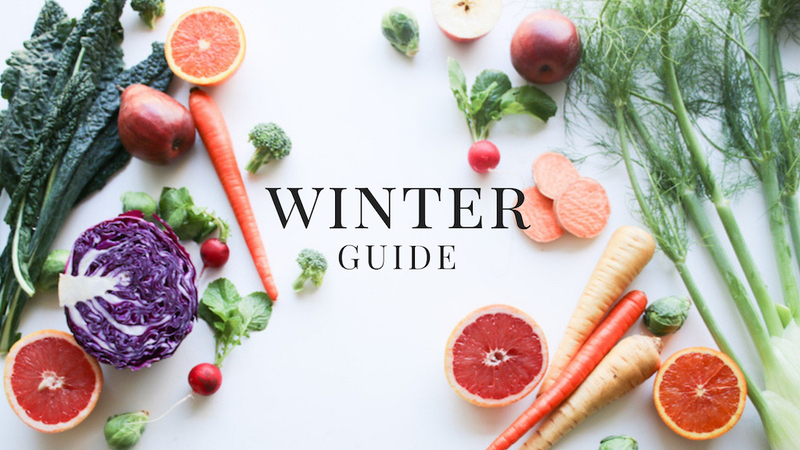 Check out our Winter Guide here! Why is eating local food important? Local food benefits the environment. Purchasing locally grown foods helps support local farms and maintains farmland and open space in your community. A recent USDA study also found that direct-to-consumer producers were less likely to apply pesticides and herbicides to control weeds and insects than conventional producers (with the exception of chemicals to control insects and weeds in fruit, nut and berry crops). Local food supports the local economy. The money you spend on products from local farmers and growers stays in the community and is reinvested with other local businesses. I love going to restaurants that support the local farmers in my area. Local farmers can tell you how the food was grown. When you buy directly from farmers, you have the opportunity to ask what practices they use to raise and harvest the crops. When you know where your food comes from and who grew it, you know a lot more about your food. Where can I buy local, seasonal produce in my state? Most of the produce I include in my Spring, Summer, Fall and Winter Produce Guides can be found at your local farmers’ market, through local Community Supported Agriculture (CSA) programs operating in your area and at restaurants and businesses committed to seasonal, local food. Food blogs tend to follow seasonal food trends, just like the stores do but they do it better. So if you’re wondering what’s in season and how you should cook it, spend some time perusing your favourite sites for inspiration. Pinterest is another great source for this, with seasonal foods cycling throughout the year. What are some of your favorite seasonal ingredients? Or what’s your favorite food season? Comment below — or tag @livesimplynatural. I love getting to know my readers!